Prospective buyers and sellers constantly ask when is it the right time to buy or sell. THE Right Time: With low interest rates and a surge in demand, it is a good time for both buyers and sellers to make a move. Everybody is always trying to time life perfectly. When we go to the movies, which of the three lines is going to get us to the box office window the fastest? Is it better to wait to buy that first car as a teenager or wait until after college? Will it be too crowded to visit Disneyland now or is it better to wait until the fall? When is it the right time for a guy to pop the question and ask his girlfriend for her hand in marriage? When should a couple have a baby, right now or is it better to travel first? Life is all about “perfect timing,” and deciding to buy or sell is yet another instance where everybody wants to wait for the very best time to make that move. When is “the” best time to make a move? For prospective buyers and sellers, the current housing conditions and trends point to NOW. How can it be both an excellent time to buy and sell at the very same time? For buyers, it is all about interest rates. For sellers, it is all about top dollar and cashing in on this year’s consistent, growing demand. At the end of 2018, prognosticators, economic experts, and major financial institutions were all forecasting interest rates anywhere from 5.25% to 6% in 2019. That seemed more than reasonable given the fact that rates had climbed from 3.95% at the beginning of 2018 to nearly 5% by November. Yet, after an exceptionally rocky December for Wall Street and news of an economic slowdown in both China and Europe, interest rates retreated and dropped to 4%. Since then, they have risen slightly to about 4.2%, where they stand today. The bottom line, mortgage rates are back down to historical lows. It is a great time to be a buyer. These rates could be gone tomorrow if more and more positive economic news hits the presses. The tremendous twist of fate has allowed buyers to afford a lot more home. Affordability improved radically. For a buyer looking for a payment of about $3,000 per month with 20% down, they are now looking at purchasing a home priced at $762,500 with a 4.25% mortgage rate. Compare that to last November when rates were just about 5%; that $3,000 per month payment allowed a buyer to purchase a home at $698,750. The drop in rates has allowed a buyer to purchase $63,750 more home, yet the mortgage payment did not change. For sellers, lower rates have pushed the market from a slight Buyer’s Market at the end of 2018 and start to January of this year, to a Balanced Market in February, to a slight Buyer’s Market today. Last month, rates dropped nearly a half of a percentage point, dropping from 4.5% to nearly 4%. That plunge resulted in a considerable uptick in demand (prior 30-days of pending sales). In the past two weeks alone, demand increased by 11%, while the active inventory only increased by 1%. As a result, the Expected Market Time (the number of days it would take for a home placed on the market today to open escrow down the road) dropped from 84 to 76 days, the largest drop at this time of year since 2009. This dip is not typical for mid-April. Why is it such a great time to sell right now? From here, demand typically rises slowly until peaking by the end of May. With the distractions of graduation and the kids off for summer break, demand starts to slow in June. In the past seven years, from May to August, demand drops, on average, by 10%. At the same time, the inventory increased, on average, by 18%. With falling demand and an increasing supply of homes that sellers are competing against, the Expected Market Time rises. The best time of the year for sellers, with the lowest Expected Market Time, is from February until mid-May. For sellers to properly take advantage of the most optimal time to sell, they need to be on the market now and priced right. Currently, there are plenty of homes that are flying off the market with multiple offers, often selling for more than their asking prices. BUT, there are also plenty of homes that are sitting on the market with no interest, or offers to purchase that come in well below the asking price. Accurately pricing a home based upon the condition, location, upgrades, and overall appeal is fundamental in order to find success. Any home that look like the final reveal on one of the many HGTV programs where a fixer-upper is transformed into a dream home, will procure an avalanche of offers in today’s market IF it is priced well. Pricing a home too aggressively will result in very little activity and ultimately will just sit, missing the opportunity to cash in on the best time of the year to sell. The bottom line: the best time of the year for buyers and sellers to make a move is right now. In the past two weeks, the active listing inventory increased by 57 homes, up 1%, and now totals 6,933, knocking on the door of 7,000 for the first time since November. Expect the inventory to continue to climb from now until it peaks sometime between July and August. The inventory will most likely eclipse the 8,000 home level and reach its highest summer peak since 2011. Last year at this time there were 5,144 homes on the market. That means that there are 35% more homes available today. This is the highest level of homes on the market for this time of the year since 2011. Demand: In the past couple of weeks, demand increased by an astonishing 11%. Demand, the number of new pending sales over the prior month, jumped by 279 pending sales in the past two weeks, up 11%, and now totals 2,272, surpassing last year’s level for the first time since July 2017. This spike is unusual for this time of the year, most likely prompted by the massive drop in rates last month. From here, expect demand to slowly rise as it draws closer to its peak, sometime in May. After that, it will drop for the remainder of the year. Last year at this time, there were 84 fewer pending sales, 3% fewer than today. Luxury End: The luxury market improved dramatically in the past two weeks. In the past two-weeks, demand for homes above $1.25 million increased by 54 pending sales, a 15% increase, and now totals 424, its highest level since mid-May 2018. 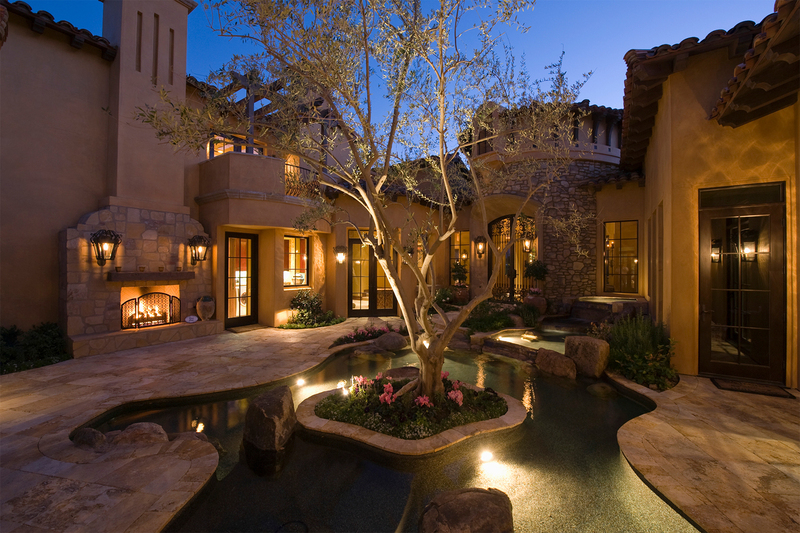 The luxury home inventory grew by 69 homes and now totals 2,279, a 3% increase. The overall expected market time for homes priced above $1.25 million decreased from 179 days to 161 over the past two-weeks, a significant drop. Year over year, luxury demand is up by 53 pending sales, or 14%, and the active luxury listing inventory is up by an additional 305 homes, or 15%. There is a lot more seller competition so far this year compared to 2018. The expected market time last year was at 160 days, nearly identical to today. For homes priced between $1.25 million and $1.5 million, in the past two-weeks, the expected market time decreased from 109 to 108 days. For homes priced between $1.5 million and $2 million, the expected market time decreased from 154 to 133 days. For homes priced between $2 million and $4 million, the expected market time decreased from 222 to 186 days. For homes priced above $4 million, the expected market time decreased from 466 to 425 days. At 466 days, a seller would be looking at placing their home into escrow around June of 2020.